We were long overdue to replace the rubber that came with the Big Kahuna: they were eight years old with noticable sidewall cracking in at least three. 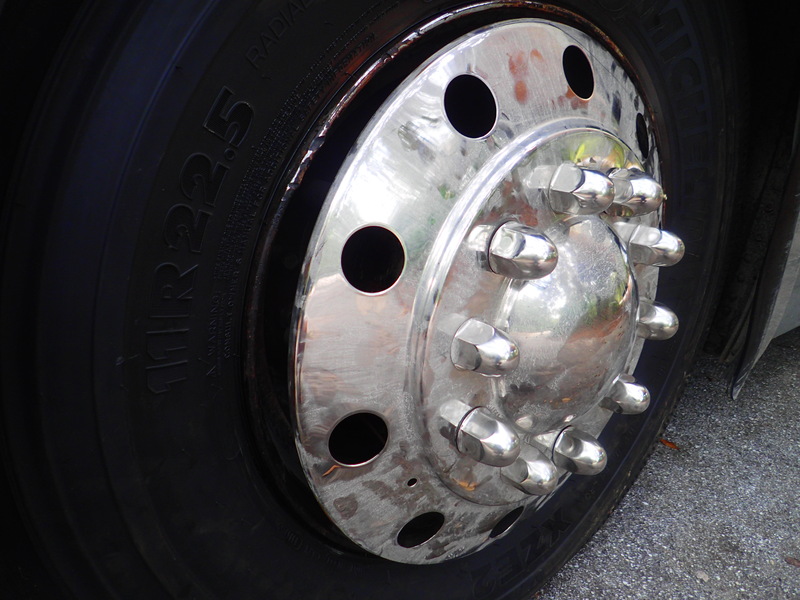 Motorhome tires are different from regular car or truck tires in that you rarely have to worry about wearing down the tread, the problem is age and exposure. 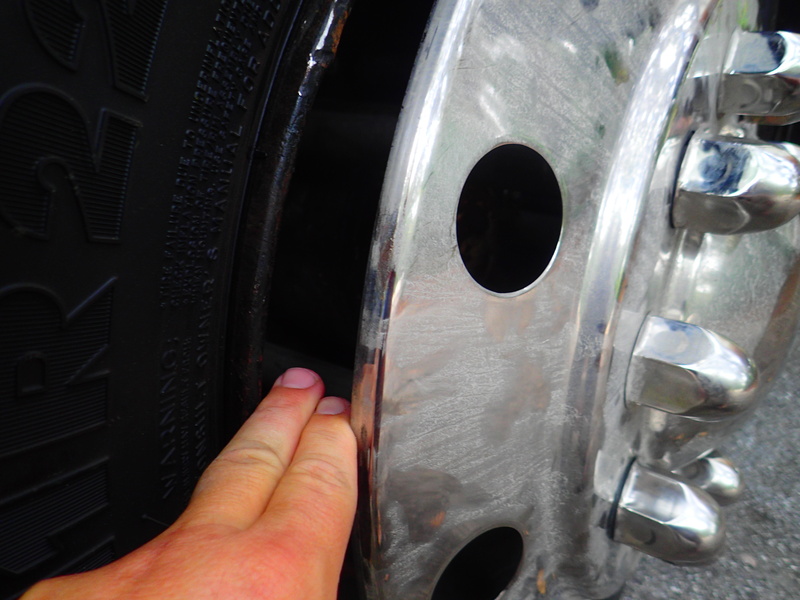 As I learned attending rallies with the GMC Sunshine Statesmen, even if they appear to have good tread left, a six or seven year old tire should be replaced due to the steady weakening of the rubber and side walls, particularly since the consequences of a blowout are rather more severe in a large vehicle. Accordingly, we finally got around to putting on six new tires, four on the back axle and two up front. A friend of mine, Nate, worked for Michelin years ago, and will happily regale you with stories of that particular French-owned company retaining a Mad Men like culture into this century, but will also tell you that the product exceeds the hype, and that he will put nothing but Michelins on his vehicles to this day. 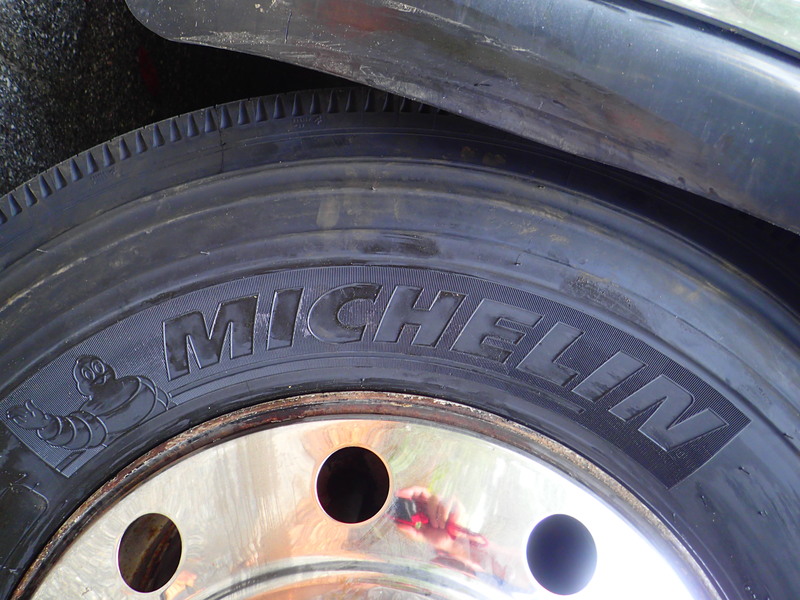 As an added incentive to put these top end tires on the bus, the Family Motor Coach Association has a negotiated relationship with Michelin, allowing us to find a no-hassle low-end price on the desired tires. At $50 per year some might balk at membership in an organization that does not provide regular discounts on RV related things, and is more like an umbrella organization for various other local motorhome chapters (such as the previously mentioned Sunshine Statesmen), but the FMCA Michelin Advantage Program tire purchase plan definitely made this year’s membership price worth it. 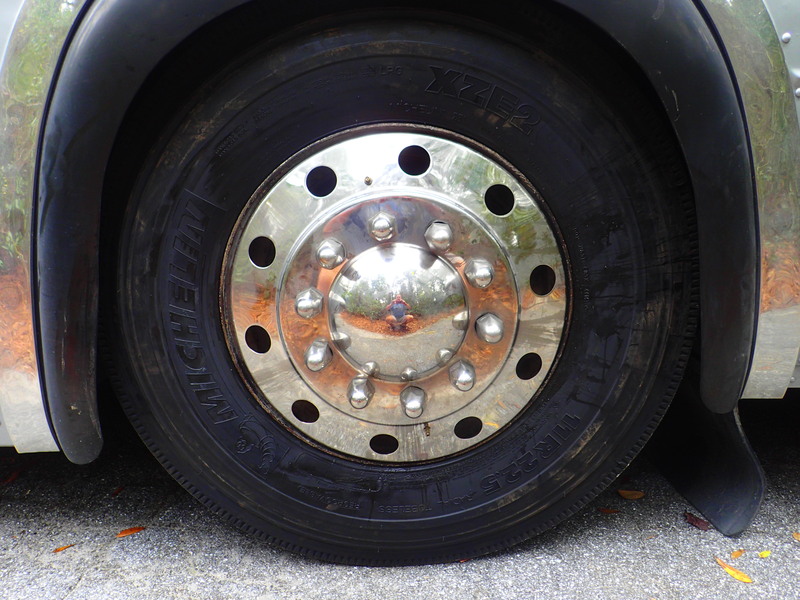 Bus tires are ridiculously expensive, way more than your family car and significantly more than modern smaller diameter motorhome tires (ours are 41.5 inches in diameter! ), but it had to be done, and FMCA save us money and trouble. Three of the five threaded extender pipes were not even attached! After expressing my displeasure to the tire service company, I bent to the task of putting it on right, discovering that one of the pipes was stripped beyond repair, but the other four, seem solid. The troubles didn’t end there, as the next morning I awaken to the same tire deflated to almost flat! The tire company had the decency to dispatch a truck immediately. The arriving mechanic found that the cat’s eye system that shares air between the two tires on this end of the rear axle had a very slow leak due to a damaged O-ring on one of the connection points. His shop does not carry this type of system, so he disconnected the cat’s eye completely, refilled the tires, and wished me luck. I suspect it will hold just fine and all i need to do is find a full service truck shop to replace part of my system.